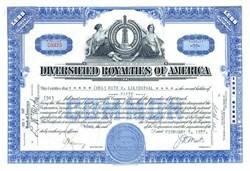 Beautifully engraved certificate from the Diversified Royalties of America issued in 1937. 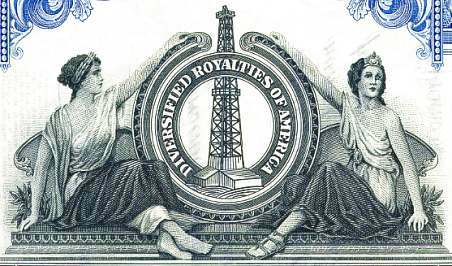 This historic document was printed by the Jeffries Banknote Company and has an ornate border around it with a vignette of an oil derrick and the company name in the center with an allegorical woman on each side. This item is hand signed by the Company's President ( J. H Wents ) and Secretary and is over 67 years old. The certificate was issued to Ruth L. Lilienthal.